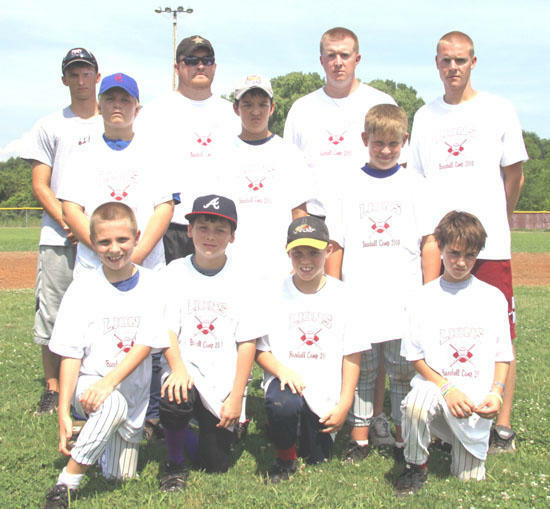 Cannon County High School baseball coach Eddie Cunningham conducted a camp for youth this week. Among those attending were, kneeling from left, Jake Campbell, Pearson Hughes, Branden Schwartz and Austin Mears. Second row, from left, Tucker Francis, Dustyn Kilgore and Jacob Raines. Standing, from left, are Trent Fagan, Jake Nokes, Cunningham and Cody Brown.